China is one of the most popular destinations in the world for foreigners who want to start a business outside of their home countries. With a potential market of over 1 billion people it's not difficult to wonder why. If you've been thinking about starting a business in China, the Wood Egg China startup guide will be your go-to reference manual. Each year we hire 3 researchers (at least one local and one foreigner who live in China), a native English-speaking in-country writer, and an editor, to bring you insights from multiple perspectives. All of this along with hundreds of other insights. All told you'll get the painstakingly researched answers to over 200 questions (over 700 pages!) about country, culture, life, and business in China. If you're looking to do business in China you won't find a more complete, up-to-date, guide. As an aspiring entrepreneur, I've scoured the Internet seeking resources to help me understand the entrepreneur scene in different countries and regions. Unfortunately, it's extremely difficult to find current, accurate information, especially about a country like China. Blog posts are often too general or provide an incomplete picture, and travel guides provide you with information to be a tourist. Until China 2014 came along, there was no guidebook for aspiring entrepreneurs who want to work in China. China 2014 breaks down a lot of the fundamental information any entrepreneur needs to know to be able to feel comfortable and prepared booking a ticket to China to start a business there. It answers some of the basic questions that people often overlook ("How can a foreigner blend in to China? What advice would you give foreigners on how not to stick out so much? "), as well as some of the more difficult questions ("Does business location (center of biggest city versus outlying areas) communicate something about the business itself?"). Although I have much more research that I will have to do on my own before I consider starting a business in China, the guide gives me a good head start, and all of the information is presented in a structured way. I really appreciate this question and answer format because it's less overwhelming to read, and I can skip right to the questions that I really want answers to. I also appreciate that China 2014 is completely different in its answers than the 2013 version. They brought in a new writer and researchers to do the 2014 version, so I can trust that the information I'm reading about is actually up to date. My only feedback is that the order of questions could have been slightly different to make it easier to follow if someone wanted to use this guide as step-by-step instructions. However, this isn't a big deal. Overall, this is a very insightful guide. I wouldn't recommend reading it all in one sitting. Instead, navigate to the questions you need answers to, and keep China 2014 around as your companion as you think about doing business this year. Derek Sivers is a genious. He didn't try to write everything himself, he hired experts and then had more experts review the information before publication. Valuable insights from the very first chapter. There's no such thing as "not taking things personally" - the business IS the person, and the transaction IS the relationship. The main value of this book lies in its ability to illustrate many of the subtle, unspoken rules that underlie the delicate relationship-building process in China. I'll be honest - most of the information about China's history, economy, and even the macro aspects of consumer psychology can be found on Google. The devil's in the details though, and as I flipped through sections such as "Attitude towards time and promises," "Mindset," and "How to Build Trust," I was pleasantly surprised to find out certain things I'd never even thought about before. I may be a native Chinese speaker, and I may live just across the strait of Taiwan, but I still learned quite a bit. Let me conclude with a story of a friend of a friend. He was a Taiwanese student on an exchange program in an US university, and one of his professors failed him because he just wouldn't participate in class discussions. To he, he was obviously doing the right thing: Taiwanese students are trained to never talk back to a teacher with different opinions. We listen, we nod, we (pretend) to agree, and we memorize. That's it. That's what we do. To the American professor, it was obviously a completely different story. A gesture of respect was interpreted to be rude and disrespectful. If you're going to do business in China, your performance will be judged as harshly as this student was judged, by business etiquette as utterly foreign to you as academic etiquette was to this student. Books can go only so far, but this one goes as far as any guidebook's going to go on these topics. Glancing through key sections of this book will at least prevent you from fairing as poorly as this student did. The rest of the journey, the real hard work, is up to you. 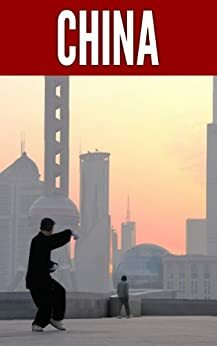 I took a trip to China last year, and how I wish I had read this book. It cuts to the most relevant information for any foreigner planning to travel, work, or live in China. The book covers advice about settling in to your new surroundings quickly, and goes further to explain the behaviour and mindset of the locals. In addition, it outlines general industry trends,etiquette when dealing with businesspeople and government officials, and how to get your startup up and running in an unfamiliar environment. This book is a great guide to help you navigate through the complex maze of Chinese society, saving you from a lot of headache and confusion so you can hit the ground running.